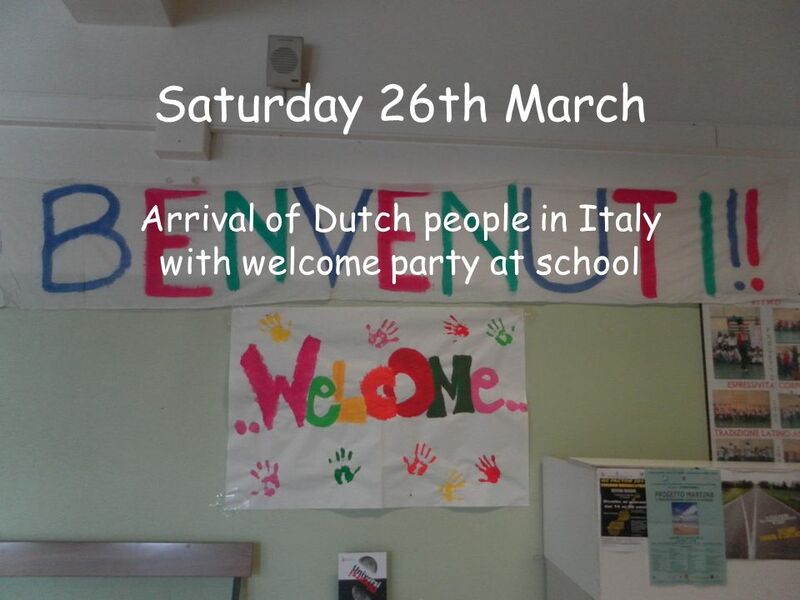 Saturday 26th March Arrival of Dutch people in Italy with welcome party at school. 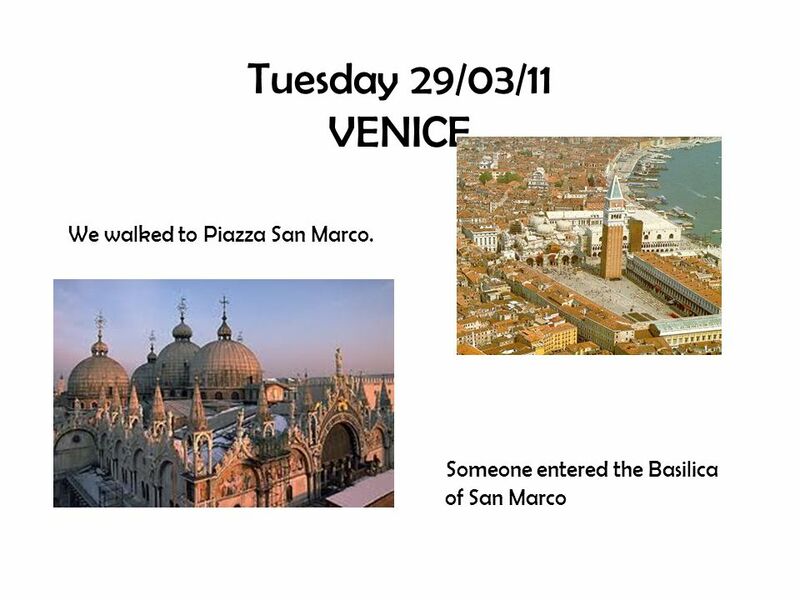 9 Tuesday 29/03/11 VENICE In the morning at school we presented Venice with a power point. We walked until Rialto and had some free time: someone went shopping, someone else sunbathed next to the water. We took the train and we arrived at 11 am. 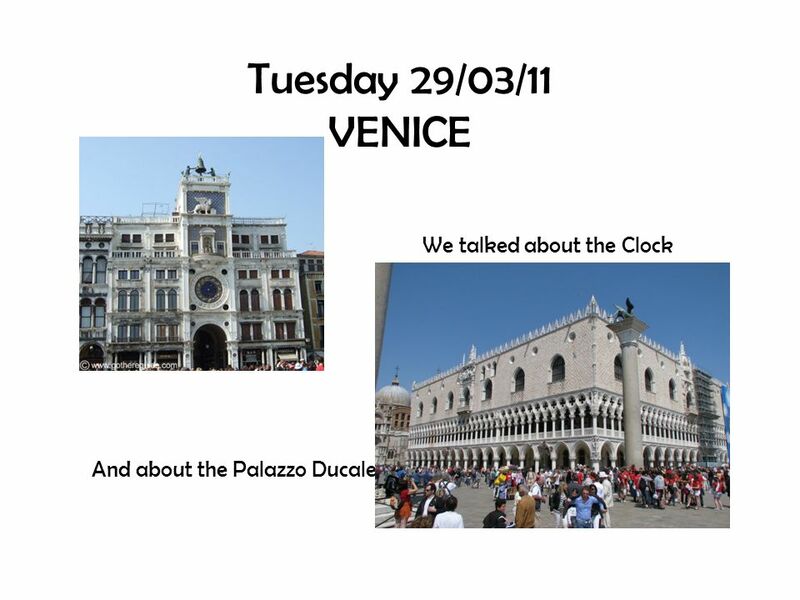 12 Tuesday 29/03/11 VENICE We had some free time… Someone went in the gardens next to Piazza San Marco But someone… Somebody took an icecream… Missed the train back home! 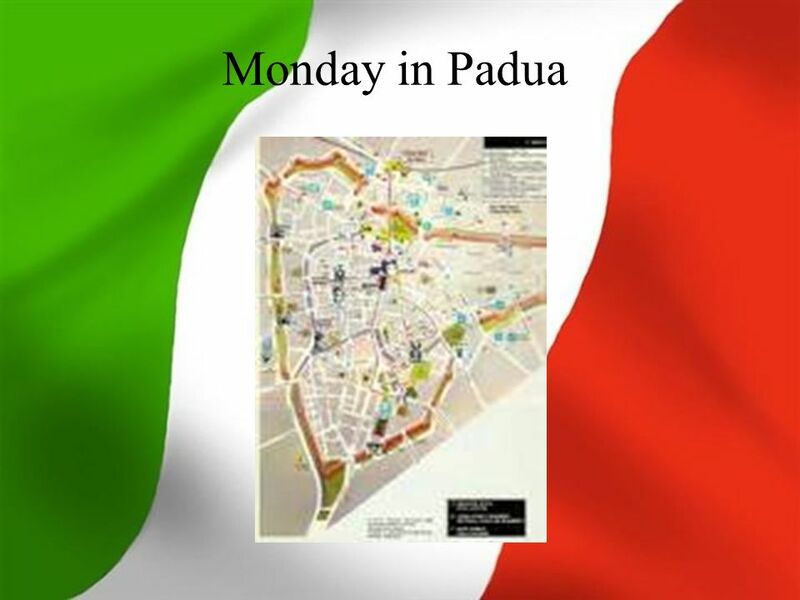 14 Then we went to visit the Pedrocchi café, the squares, the Cathedral of Padua and the Baptistery. 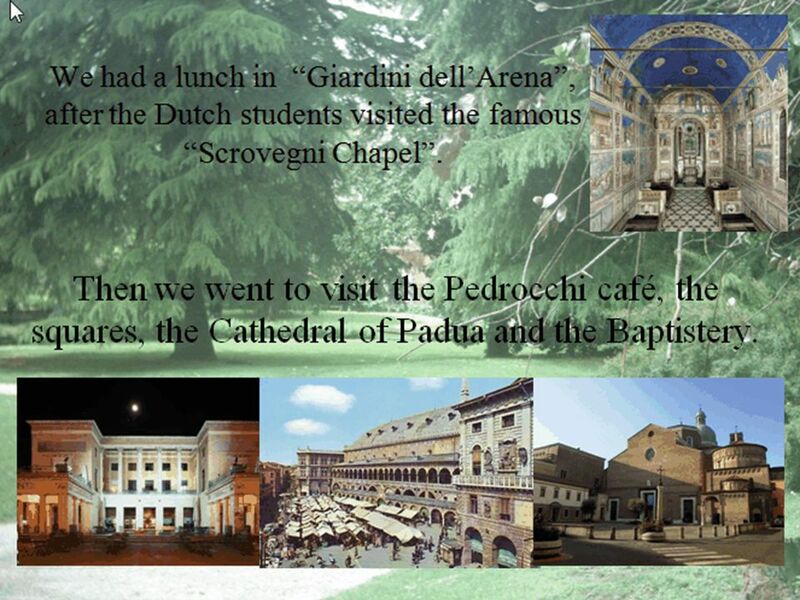 We had a lunch in Giardini dellArena, after the Dutch students visited the famous Scrovegni Chapel. 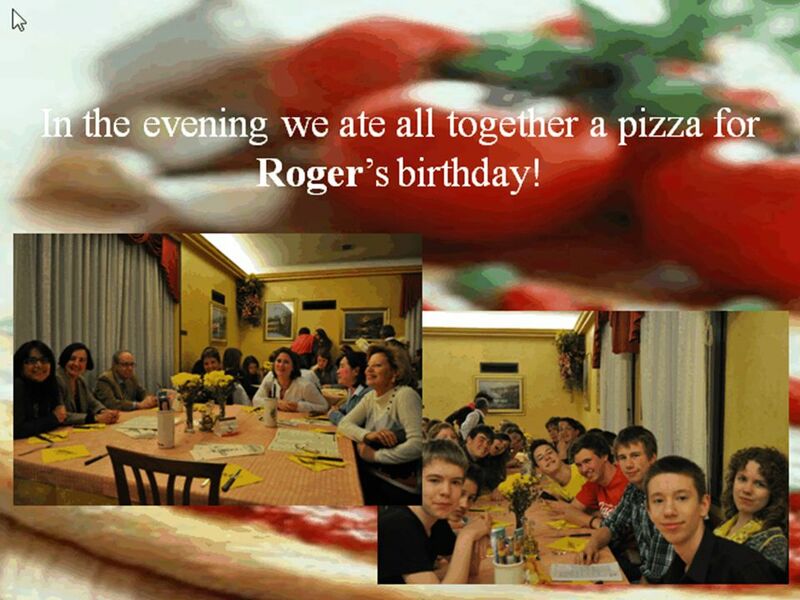 15 In the evening we ate all together a pizza for Rogers birthday! 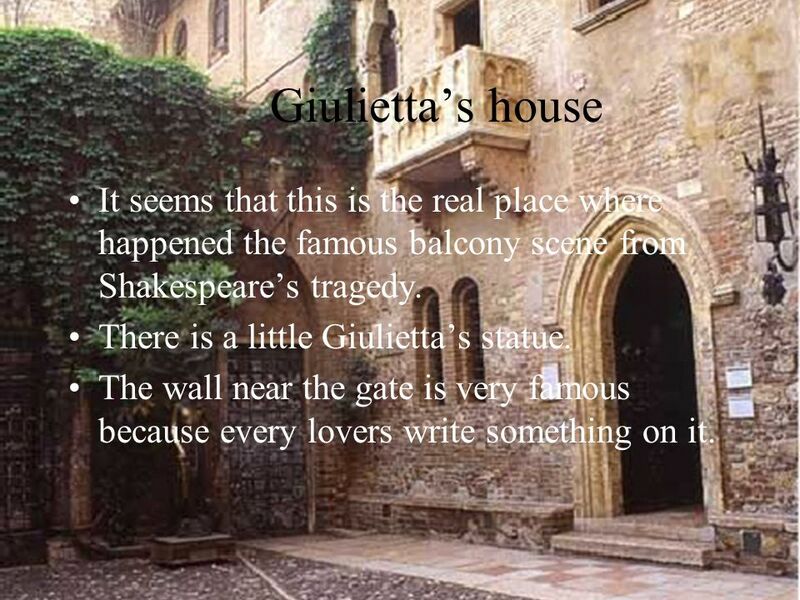 17 Giuliettas house It seems that this is the real place where happened the famous balcony scene from Shakespeares tragedy. There is a little Giuliettas statue. The wall near the gate is very famous because every lovers write something on it. 18 Veronas Arena We visited Veronas Arena during the morning and it was very beautiful. 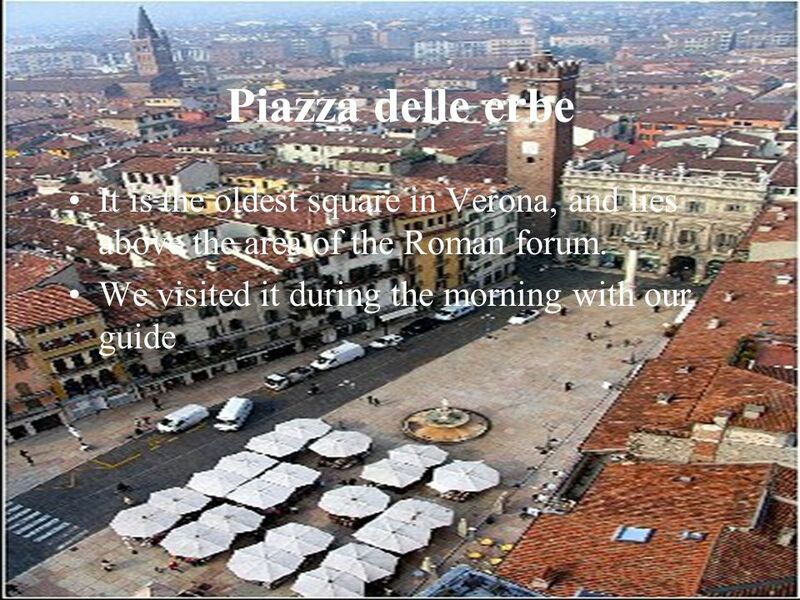 19 Palazzo della ragione The palace was the seat of the Municipality and hosted for a long time the Magistrates Court and the Court of Assizes. We visited it during the morning. 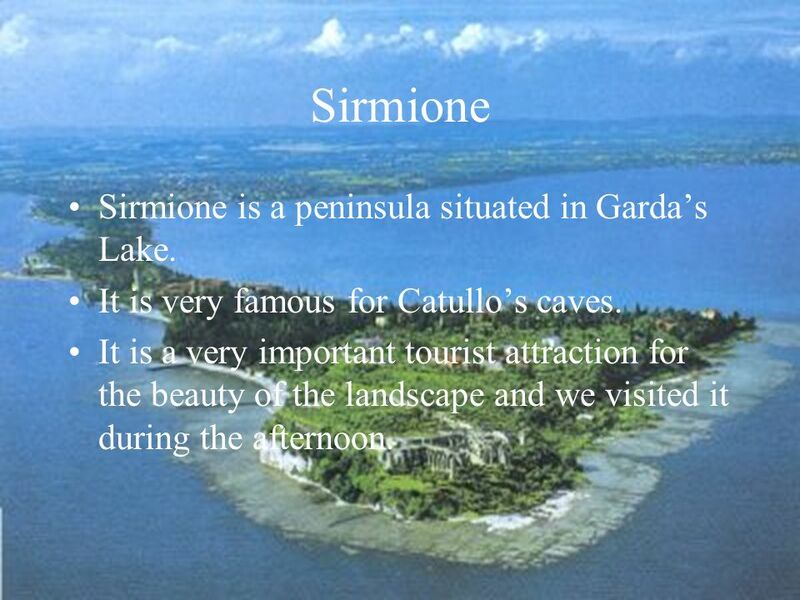 21 Sirmione Sirmione is a peninsula situated in Gardas Lake. It is very famous for Catullos caves. 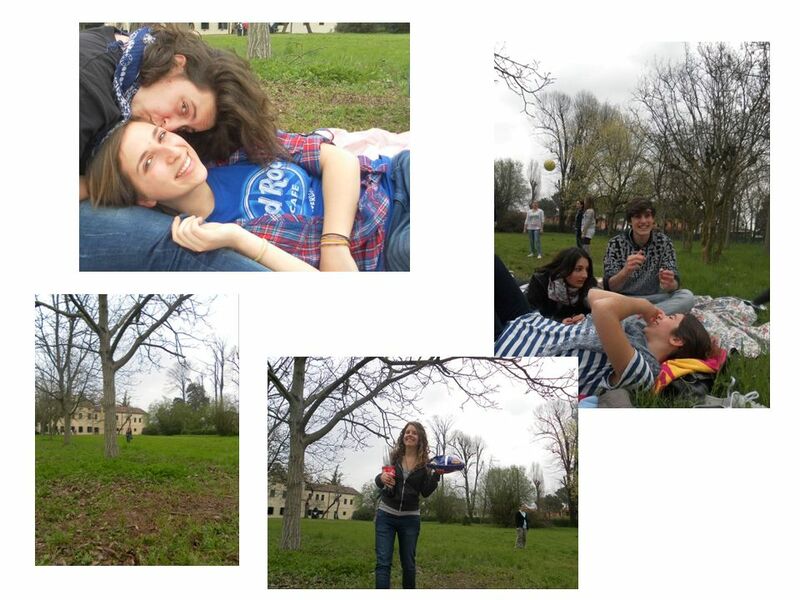 It is a very important tourist attraction for the beauty of the landscape and we visited it during the afternoon. 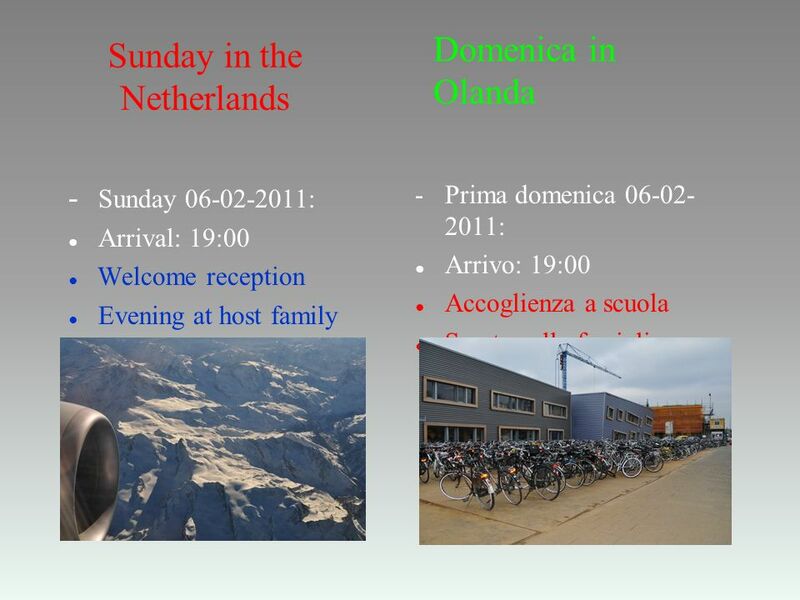 Download ppt "Saturday 26th March Arrival of Dutch people in Italy with welcome party at school." Sunday 25Monday 26Tuesday 27Wednesday 28Thursday 29Friday 30Saturday 31 Main topic of the day Arrival and introductionInstitutional and regulatory framework. 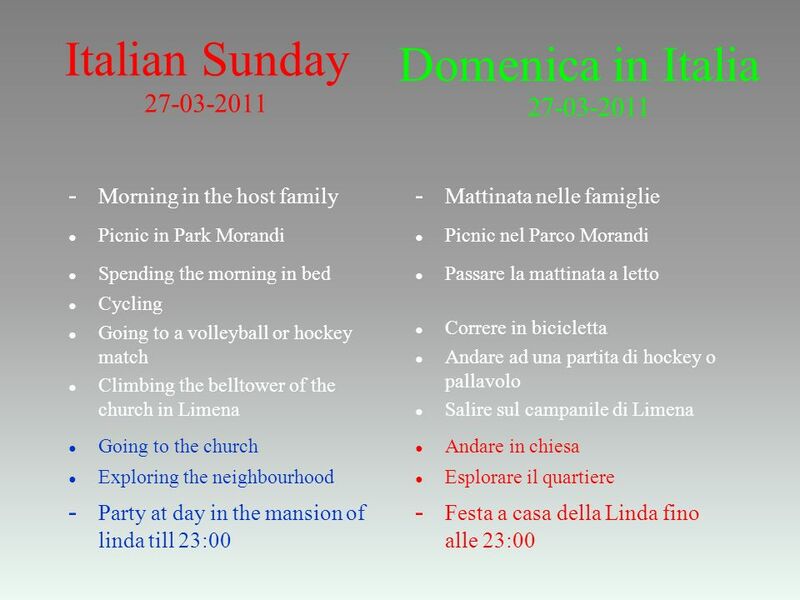 Sunday in the Netherlands - Sunday : Arrival: 19:00 Welcome reception Evening at host family - Prima domenica : Arrivo: 19:00 Accoglienza. 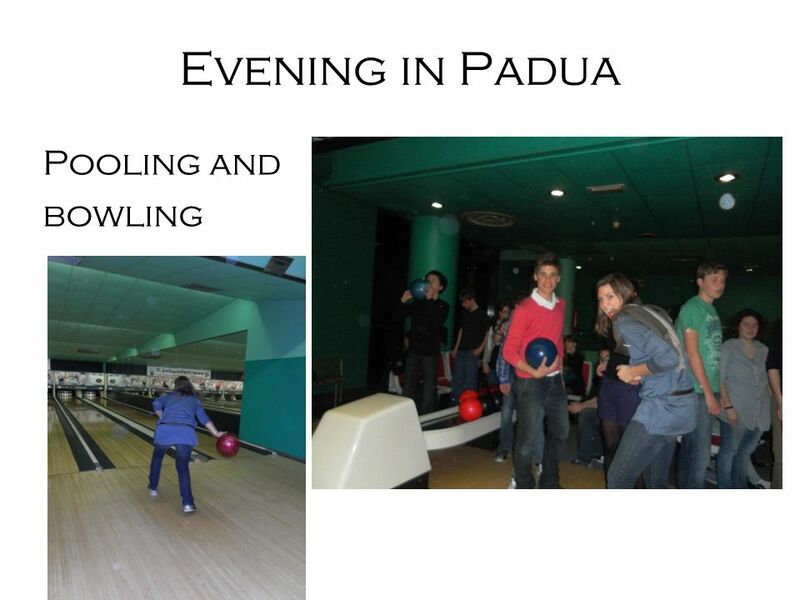 Home - Comenius Project COMENIUS Multilateral school partnerships – 2012 Knowing Europe Through an Educational Business Agenzia Nazionale LLP Italia. Now, I help you to know the wonderful landscape of. 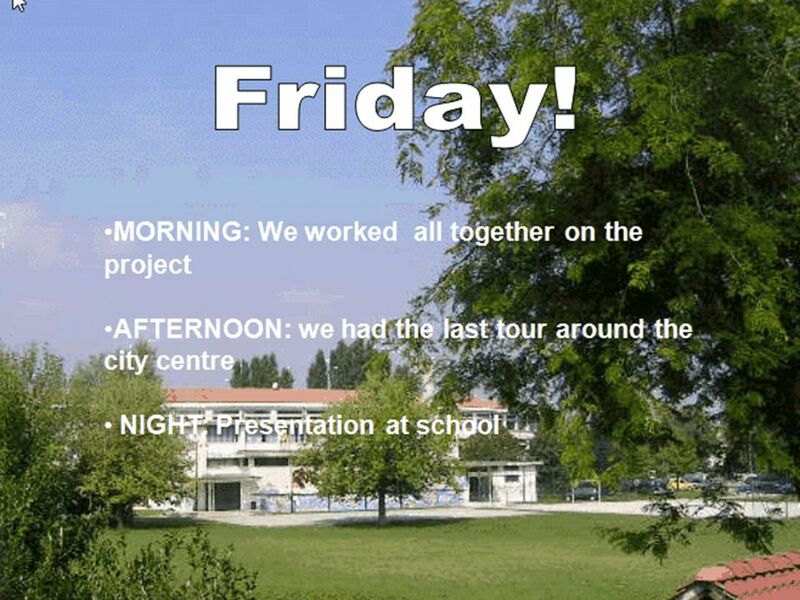 Year 8s on Tour Information evening Tuesday 25 th June 2013. 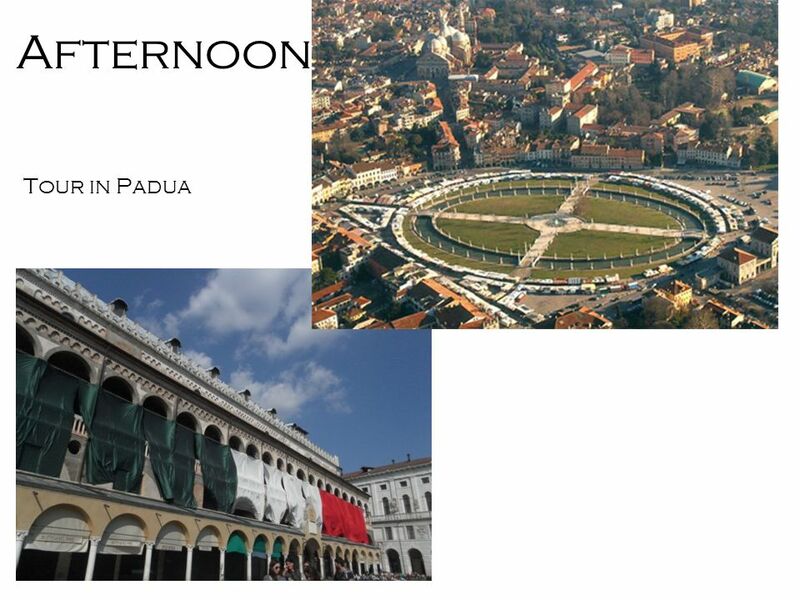 Visit the tourist attractions-Milan Milan's Duomo, or Cathedral, is the largest Gothic cathedral in the world. Construction started in 1386 but took nearly. Czech Students in Hermeskeil Tuesday 8/4/2008 – Sunday 13/4/ 2008. 1st mobility - Croatia From 29th September to 6th October 2013 we were in the warm and hospitable town of Sibenik which is located in Croatia on the Adriatic. 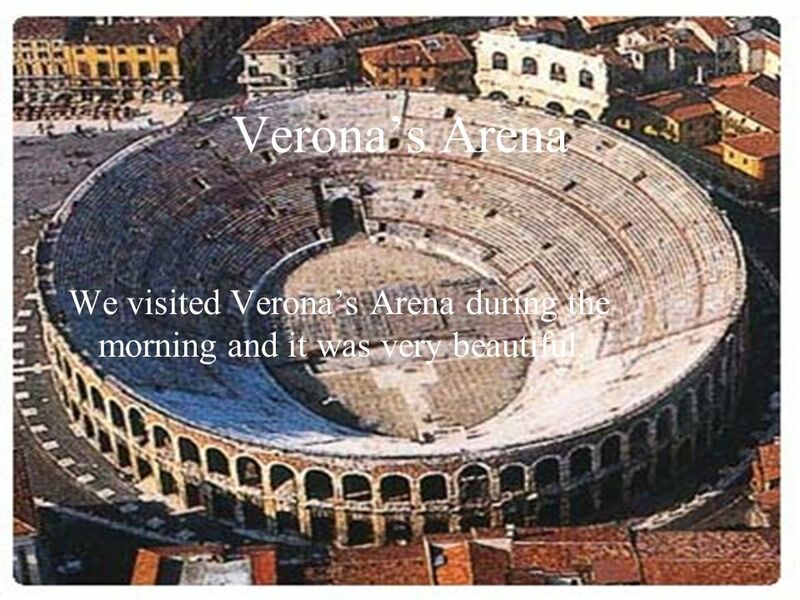 GROUP TOUR TO ITALY FOR VERONA MARATHON & LAKE GARDA MARATHON 01 OCTOBER – 15 OCTOBER 2014. When virtual becomes reality!! 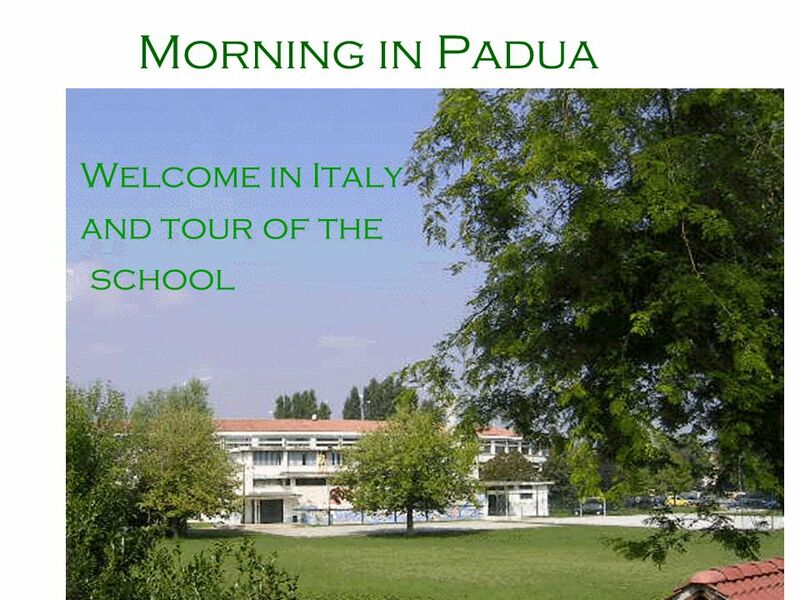 First exchange between the colleges of Padule and Swanmore technology Monday 13 to Sunday 19th June 2011 Arrival of our. China Project 2009 Info session 2 1 Travel Schedule for EA. Music Trip 2013 Washington DC. Day 1 – Tuesday, April 23 Leave after school on coach buses –Begin road trip to Washington DC! Dinner on own en route. AT SRHS!. HAPPENING THIS WEEK! Monday, March 11: Welcome back from March Break! DTC Summer Camp 2013—June 24 to 28—pick up applications from Mr. Barton. Dear diary... Diary of Comenius Friday, Me and my family were waiting for my Cypriot partner all day. We were tiding our house and preparing. Let’s go to school in Reims! Programme of the mobility May 11th -16th 2014. FLORENCE Florence is the capital of the Italian Tuscany. 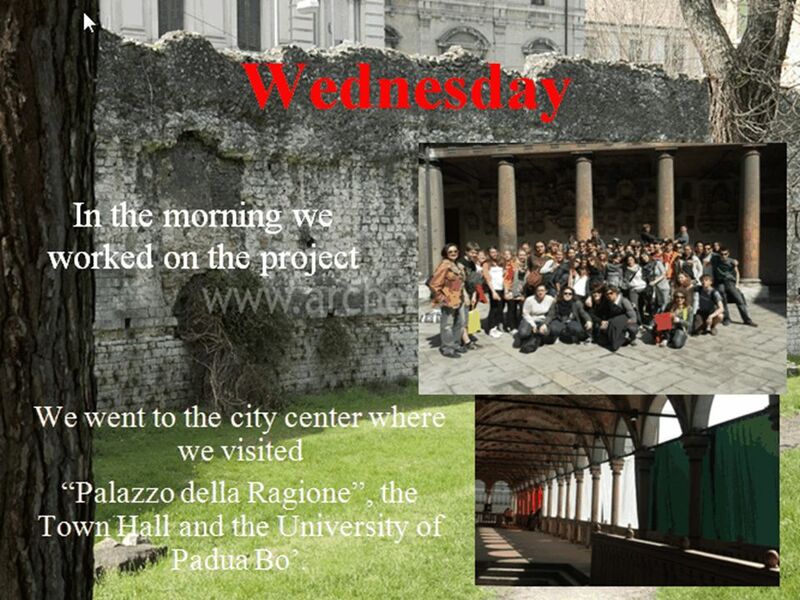 It considered the birthplace of the Renaissance and is universally recognized as one of the cradles. Our Trip to England Monday 03/03/2014 We met at the starting point at 6.50 am and left Pontoise by coach at 7.20 am to go to Calais. We arrived. Senior Project of Adriane Barry Katie Brage. Brother Chuck Gregor Ann Julich Mr. Julich.